AMERICAN COMEDY GENIUS Tina Fey celebrates her birthday today. Tina is now 43 and given that it’s a Saturday we reckon she should hit the town and celebrate in style. In fact, we’ve had a think about this and we’ve a feeling Tina would be incredibly good craic on a night out. Before you got dolled up Tina would be making sure you pull out your best poses for the myriad of snaps you’re now required to take of a Saturday night. She would rather photobomb people while holding a glass of wine. Which is something we can get behind. Once you've danced at the youthful club, met Amy Poehler and had some night cheese you'd stumble back to Tina's gaff for a night cap. And a chance to look at all her awards. 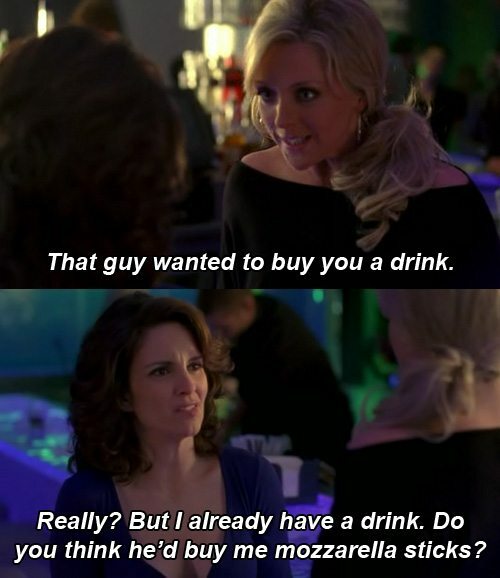 Email “Why we really want to go on a night out with Tina Fey”. Feedback on “Why we really want to go on a night out with Tina Fey”.